The New People's Democratic Party (nPDP) faction of Kwara All Progressive Congress (APC) under the leadership of Balogun Ishola Fulani has threaten to jail the APC Kwara State caretaker committees for parading themselves as the party state executives. The All Progressives Congress in Kwara State has read riot act to Mr Bashiru Bolarinwa, who is parading himself as caretaker chairman of the party, and its agents, saying by their unlawful actions, they are walking the road to jail. 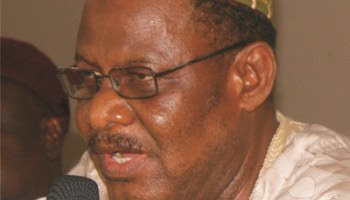 It is a matter of public record that the issue of the leadership of All Progressives Congress is settled with the affirmation of the Kwara State High Court that the Alhaji Ishola Balogun-Fulani-led State Executive Committee (SEC) has a constitutional mandate of four years that will elapse by 2022. The public is also aware that in the suit number KWS /292/218, filed before the court of Justice T. S. Umar, the judge granted an expressed order that restrained Mr Bashiru Bolarinwa and his agents from parading themselves or performing any function or duty specified for members of the executive committee of the APC either individually or collectively as members of the executive committee of members of purported caretaker committee of the APC in Kwara State. In spite of the above stated court order, the attention of the leadership of APC in Kwara State has been drawn to reports indicating that Mr Bashiru Bolarinwa is still parading himself as chairman of a caretaker committee the court of law has dismissed as unlawful and non-existent. As a matter of fact, Kwara APC has a chronicle of unlawful actions of Mr Bolarinwa and his agents. Such unlawful actions constitute contempt of Court. By their unlawful actions, they are walking the road to jail. Meanwhile, Kwara APC wishes to declare and reiterate that Mr Bolarinwa has neither legitimacy nor authority to act on behalf of the All Progressives Congress in Kwara State. We invite the media, the general public and particularly all members of APC in Kwara State to note this fact. All members of APC in Kwara State should know that Kwara APC has no plan to reconstitute executive committees at the ward and local government levels. Party members should continue to work with the present leadership of the party at the ward and local government levels. Party members are enjoined to shun plans by an impostor to organise unlawful congresses at the ward and local government levels. Finally, Mr Bashiru Bolarinwa and his agents have been warned. They can continue to evade, hide and run. However, they cannot run away from the long hand of justice.